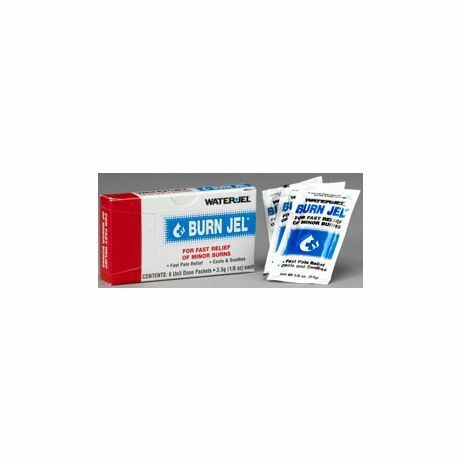 Burn Jel In Unit Dose In Unitized Box 6 Pcs / Box Unit dose packets 1/8 oz. (3.5 gm) each. Packed in a 6-count box and perfectly suited for on-the-job emergencies. Can be kept at workstations for use as soon as burns occur. Meets ANSI standard for first aid kits—six-piece burn treatment requirement. Shelf life: 3 years from date of manufacture.